Named for William Finn, the two-time Tony Award-winning composer/lyricist of Falsettos and The 25th Annual Putnam County Spelling Bee and Artistic Producer of BSC’s Musical Theatre Lab, Mr. Finn’s Cabaret celebrates its 7th season from June through September. Most performances are at 8PM. 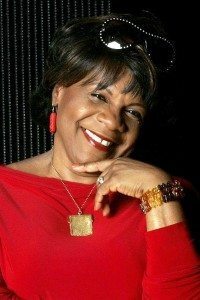 Jazz vocalist Tina Fabrique brings to Mr. Finn’s a musical journey through Ella Fitzgerald’sGreat American Songbook; music of Duke Ellington, Irving Berlin, Cole Porter, the Gershwins. An evening of songs about how we lie to ourselves about...everything! Each song provides a piercing insight into these lies, but with a wry sense of humor and a surprising twist. Weaving tales of his Manhattan childhood and adolescence seen through the lens of the tumultuous 60s are hilarious stories and songs from Broadway to Pop; i.e. Beatles, Jimmy Webb, Henry Mancini. These best songs by Bill Finn will be sung by ridiculously talented performers you probably don’t know but should. Back for the annual '4th of July American-a-rama’, American-a-rama songs of myth, legend, history, humor, and patriotism come alive, often for sing-alongs. Leslie Kritzer returns to BSC with another hilarious unapologetic evening of stories and songs about her life. She already feels guilty about it. Tony Award-winning composer and lyricist Jason Robert Brown will incorporate an eclectic mix of material, featuring music from throughout his career, along with works from his new album. Tony Award nominee Brandon Uranowitz shares songs by Tony Award-winning William Finn. Expect everything – hilarity and emotion. 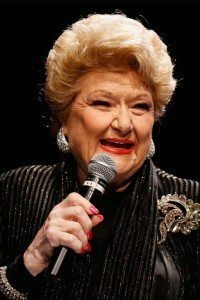 One of the greatest nightclub singers of all time is Marilyn Maye who will sing ballads, Broadway, and jazz. From pop to classical to jazz and the blues, Abraham has something for everyone. Come and celebrate the final cabaret of the season.